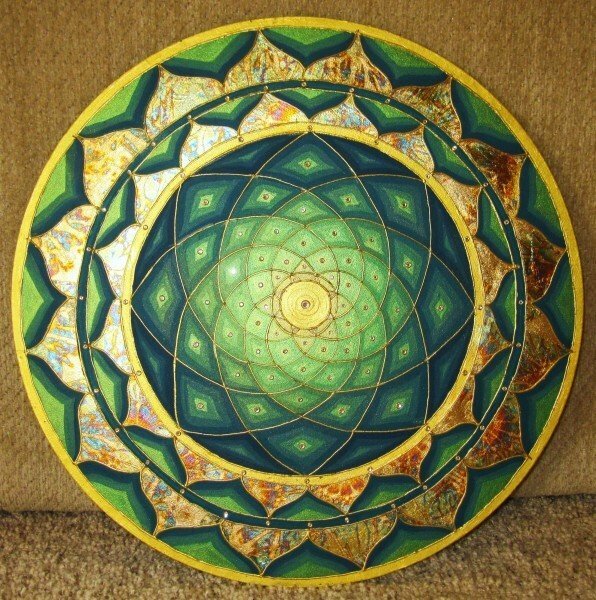 Forest Fresh | Artwork – Store – Tammi B. Ph.D.
Hand painted mandala 20" round Acrylic, mixed medium, gold leafing and Swarovski crystals. Created for a friend who has a very successful healing practice. He wanted a mandala that brought more heart and soul to his sacred space. The green color of the heart- chakra revealed itself during my meditation and Forest Fresh was born! I would be happy to recreate this for you in any color palette and with any changes you would like.